Obituary – Bieberdorf, Betty June (Krisher) « Perry High School Alumni Association, Inc.
Y-Teens 47-48, Home Room Secretary 46-47. Betty June Bieberdorf, 76, of Perry Oklahoma was the daughter of John and Katie L. McGee Krisher. 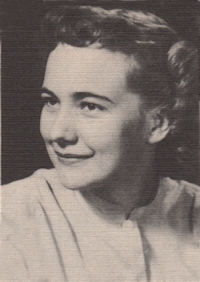 She was born May 15, 1932 at Perry, Oklahoma and died Friday, May 16, 2008 at Perry Memorial Hospital. 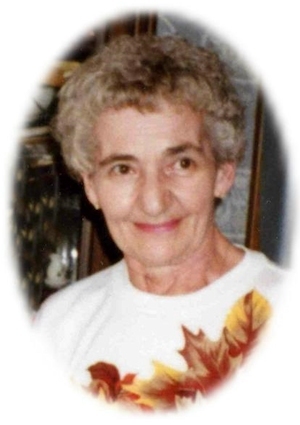 Betty was a life-long resident of the Perry community. She and Robert O. Bob Bieberdorf were married on December 22, 1954 in Perry, Oklahoma. Betty was a homemaker and a bookkeeper. She was a member of the First Presbyterian Church and was active in Mothers Club and the Perry Elkettes. Betty bowled on the Perry Women’s Bowling League for a number of years. She enjoyed fishing and sewing. Funeral services will be at 10:00 a.m. Wednesday, May 21, 2008 at the First Presbyterian Church in Perry. Rick Rhodes will officiate. Services are under the direction of Brown-Dugger Funeral Home. Memorials may be made to the Elks Scholarship Fund in care of Brown-Dugger Funeral Home, 1010 N. 7th Street, Perry, Oklahoma 73077. Betty is survived by three sons, Edward Ray Bieberdorf, of Morrison, Oklahoma, John Wayne Bieberdorf and his wife, Susan, of Perry, Oklahoma and Bob Alan Bieberdorf, of Lorton, Virginia; one daughter, Sandra Kay Conner, of Perry, Oklahoma; three granddaughters, Amy Bieberdorf, Jill Bieberdorf and Shalyn Davis, all of Perry, Oklahoma; and one sister, Patsy Durbin, of Carls Junction, Missouri. She was preceded in death by her parents, John and Katie Krisher; her husband, Bob, who died on April 5, 2005; two brothers and one granddaughter.